Taizhou is a beautiful coastal city that runs along the province of Zheijiang and looks out over the East China Sea. It has a population of over 5 million people and covers an area of around 9411 km2. It is an excellent location for anyone wishing to explore some other areas of China as it is just south of Shanghai, and southeast of Hangzhou. 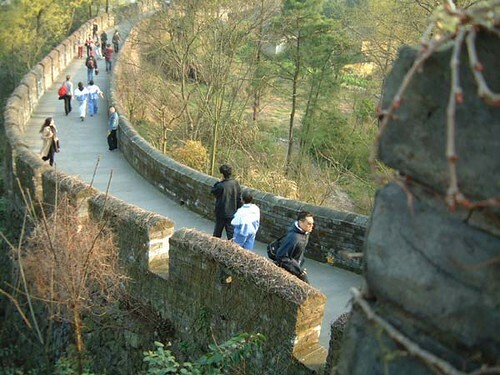 You can also find Ningbo bordering its northern areas as well as Wenzhou to the south. Taizhou has a huge stretch of coast line which has numerous islands lying just off of it and mountains more inland so it offers the benefits of both land and sea. Because of this mountain and sea combination and its monsoon style weather it makes for perfect conditions for growing certain fruits. The Taizhou pomelo and Huangyan orange are world famous. Taizhou is also a producer of Loquat, water chestnuts, mandarins and Myrica rubra. It is also has a very popular fishing industry. Taizhou has a very successful economy and you will find the people to possess a pioneering spirit that has aided in their advancement since the reform 20 years ago. You can also find the people of Taizhou to be very peaceful and honest. Studying has always been a very big trend here for the people and the education and technology is very well advanced. The climate of Taizhou is very favorable and boasts rich fertile land and resources. The area belongs to the subtropical monsoon climate zone and weather tends to be very pleasant. During the summer you expect it to get very got, July is the hottest with temperatures reaching as high as 34 C (93 F). Winters aren’t too bad in Taizhou, it never gets too cold with an average temperature of 4 C (39 F) to 8 C (46 F) with a rainy season in May and June and a little in early September. Historically Taizhou was always an area that was pretty inaccessible by road however today is quite a different story. As the city grew economically it greatly improved its transport systems during the late 1990’s and early 2000’s. Taizhou shares an airport with Yangzhou and is perfect for flights to other major cities in China such as Beijing, Guangzhou, Xian, Xiamen, Chegndu, Kunming, Shenzhen, Shenyang, and Harbin. The introduction of the Yongtaiwen Expressway, Shangsan Expressway and Shenhai Expressway has made transport via car or bus to other neighboring areas very easy. September 2009 saw the introduction of the high speed rail line and serves many stations along its route. Stretching as far as 6,000 meters long the wall is often referred to as The Great Wall of South China. This is part of the scenic area of Taizhou and makes for a great day out strolling around and looking at the beautiful scenes of Taizhou. To the north you can find Grand-firm mountain (Dagu Shan), Jinzi Shan (mountain) in the South, Lingjiang river in front and the East lake to the East. If you go to Taizhou, go to Tiantai Mountain. Picture breathtaking rock formations covered in lush greenery surrounded by fluffy clouds with traditional Buddhist temples nestled in here and there. 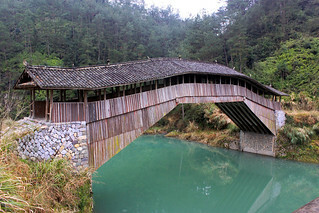 Now times that by 50 and you’re almost close to the experience of Taizhou mountain. It truly is a spectacular place and seriously lives up to its AAAA national park rating. The Guoqing temple can be found in the mountain which is the headquarters for the Tiantai sect of Buddhism. Local legend has it that the mountain was once carried by the giant turtle Ao who had its legs cut off by the goddess Nuwa to support the falling skies after the water god Gong Gong destroyed one of the original pillars. Rock formations, lakes, waterfalls, temples, caves, soft clouds and more. Xianju scenic area pretty much has it all. If you are looking for a scenic day out, look no further. You can go all out and hike around the area, or you can take the yong’an river cruise to take in the beauty at a leisurely pace relaxing on a boat. This is a small village built on the side of a mountain. What is interesting about this village is that there are no flat lands to build upon. So instead of mans architecture determining the landscape, the landscape has determined mans architecture. The stone cottages are built into the mountain side. The cottages are all made from stone and stone only. The people of Shitang had no clay or kiln in which to build their cottages, so all are made from stones that piece together cleverly. The streets wind through the cottages, walking along them you will find local fishermen and wives selling their produce. Expect to bargain.